Number 5 out of 7 children, Demetria was born in San Jose, CA and raised in Fullerton, CA. She tried to play football but after a few tough games, she realized her calling was in the performing arts. As a vocal performance major at Oklahoma City University she was a featured vocalist with the Surrey Singers, created her One-Woman Show as well as being a featured performer in numerous theatrical productions. She has performed throughout the US, Philippines, Japan and Indonesia. Demetria is a professional Actress / Vocalist / Voiceover Artist and some of her favorite roles include Ethel Waters, Ethel Waters His Eye is on the Sparrow (2007 Barrymore Award Nominee for Best Actress in a Musical); the Nurse, CBS' Hack, Perlene Scott, HBO's The Wire 4th season, Lutiebell, Purlie, Mrs. Ott, Susannah, Chiffon, Little Shop of Horrors, Susannah, Tintypes, Mama Morton, Chicago, Electra, Gypsy and the Charlene Woodard Role in Ain't Misbehavin'. Demetria was the Music Director for Gimmie the Mic Philadelphia 2004 & 2005 on UPN57-TV (2004 Emmy Award Winner for Best Live Performance). In 2009, Demetria released her debut solo CD "Takin' A Chance", a collection of standards from the Great American Songbook to rave reviews. Demetria is the Lead Vocalist with the Joe Dawson Jazz Ensemble and the 18 piece Spartan Alumni Jazz Band of Wilmington, DE. She was a featured vocalist in the Summer Musicale Series at Bristol Riverside Theatre; In Concert at Hedgerow Theatre, Media, PA; Starring Vocalist for Jazz in the Wood, Collingswood, NJ and performed at the 2010 Cape May Jazz Festival. Recently Demetria performed to a sold out audience at World Café Live Philly and debuted her new one woman show Comes Love, A Tribute To Billie Holiday to a sold out weekend at Passage Theatre, Trenton. Demetria has been singing all her life and over the past few years, she feels she has truly found her voice. A graduate of Temple University's College of Music, LaSalle University, and Peirce College, Peter has played with many performers. 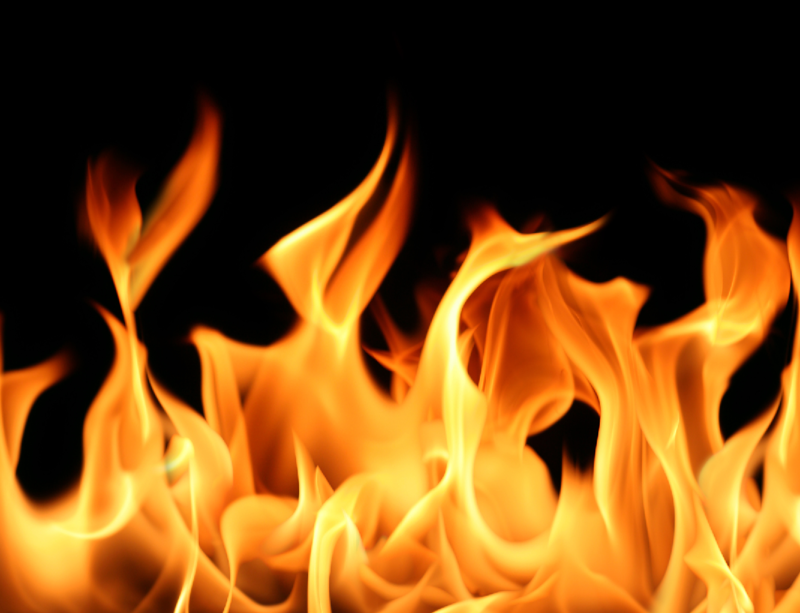 These include Grover Washington Jr., Bobby Rydell, Al Alberts, Gene Krupa, Sister Sledge, Mitch Miller, The Sammy Kaye Orchestra, Billy Cobham, Gerald Wilson, Charlie Prose, Urbie Green, Al Grey, Robin Eubanks, the Vincent Lopez Orchestra, Eddie Holman, Todd Glass, The Hoppin' John Orchestra, Kenn Kweder, the Wild Bohemians, the Hot Taters and the Philadelphia Eagles' "Sound Of Brass." Peter was also the principal trombone with the 276th Army Band and has performed for Presidents Nixon, Reagan, and Clinton and played Governor Ridge's (Pa) Inaugural Ball. He performed in Europe with the 28th Division Army Band in commemoration of the 50th anniversary of the end of WWII. Pete has performed at many other events across the country including the Philly Fringe Festival and the Tournament of Roses Parade in California. Peter has performed many types of music, from jazz to classical, including swing and funk and shows such as Guys & Dolls and West Side Story. 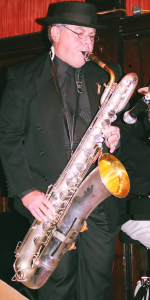 If you're looking for a band, Peter has access to groups such as hot jazz/dixieland, jazz combo, big band, swing/jump blues party band, funk band, German band, Italian band, brass quintet, etc. Thanks for reading. Let's keep music live. 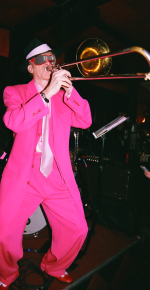 Peter is one of the original Molten Brass members when he played with the Lava Blue blues band. Pete hails from Reading, Pa, where he started out on clarinet and added saxophone at age 14. He matriculated from P.C.P.A. (now the University of the Arts) in Philadelphia, graduating with a degree in Jazz Performance. Pete worked as a computer programmer by day while playing jazz and R & B at night including playing with Cab Calloway and Vaughn Monroe, until he founded the famed Ortlieb's Jazz Haus in 1987. From '87 to '07, when he sold it, he booked bands and played at the club, performing with such jazz greats as Shirley Scott, Mickey Roker, Harold Betters, Al Grey, Cecil Payne, Bobby Durham, George Benson, and Branford Marsalis. 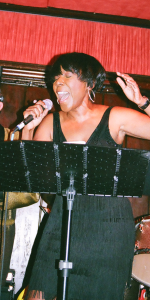 In 2012, was invited back to Ortlieb's (now known as Ortlieb's Lounge) to host a Tuesday night jam session and that same year released the CD "Echoes of Ortlieb's." Pete also leads his own group, "Berks Works" and teaches privately in the Reading area. His influences include Coleman Hawkins, Gene Ammons, Ben Webster & Lee Allen, among others. He plays tenor, alto, soprano, and baritone saxes, flute, clarinet, and vocals. 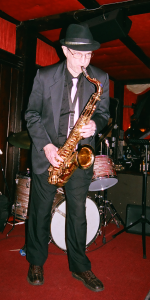 Look for his big tenor sax sound and clarinet with Jive, Jump, & Wail! Jimmy started playing the trumpet in the 2nd grade. He was given a mouthpiece by the great Harry James at the age of 12 and that made him decide this is what he wanted to do in life. Jimmy's long career started in the lounges of Wildwood, NJ at the age of 16. Later, he performed with the Philadelphia based Mercury recording artists and Las Vegas type show group "Mike Sarge and The Sargents." From there, he served as 1st trumpet, soloist, and section leader in the US Army Bands at Fort Knox, KY, Fort Dix, NJ and the 287th Army Band of the Delaware National Guard. While in the service, he performed for the inauguration of President John F. Kennedy. Later, he formed his own successful show group called "The Nomads" that worked the NJ Shore and the Delaware Valley. Jimmy was hired by "Warren Covington and The Tommy Dorsey Orchestra." Jimmy went on tour, performing as lead and featured trumpet player with some of the greatest performers and musicians in the world including the orchestras of Jimmy Dorsey (directed by Lee Castle), Charlie Spivak, Tex Beneke, Glenn Miller, Sammy Kaye, Cab Calloway, Lionel Hampton, Terry Gibbs and others, most recently The Nelson Riddle Orchestra tribute to Frank Sinatra. Jimmy performed at the Inaugural Ball for President Ronald Reagan for both of the President's elections. He has appeared and been featured on the National TV Networks of ABC, CBS, NBC, and PBS and was a Trumpet Clinician along with Doc Severinsen for the Getzen Band Instrument Company promoting the Doc Severinsen Model Trumpet. He has also appeared as a guest soloist with high school and college bands all along the east coast. Jimmy has backed such artists, singers, and groups as the following: Arturo Sandoval, Wayne Bergeron, Tony Bennett, Diane Schuur, Joe Williams, Mel Torme, Al Martino, Harry Connick Sr., Julius La Rosa, Bobby Rydell, Al Alberts and The 4 Aces, The 4 Tops, The Spinners, The Tempations, and many, many more. He continues to work with today's artists. Jive Jump & Wail is glad to now have Jimmy's talents with us. Tom has a varied background in music. Since graduating from the University of the Arts in Philadelphia with degrees in music performance and music education, Tom joined the Army as a Bandsmen and was stationed and performed in Germany. Upon returning to the United States, he joined the 276th Army band and became the Woodwind Group Leader and Unit Readiness NCO. Tom also open his own music store, Instrumental Music Service and during that time learned instrument repair. 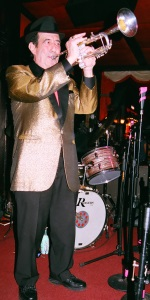 Through the years, Tom has had extensive experience with various music groups and styles including performances with Julius La Rosa, Al Alberts, Danny & the Juniors, Sister Sledge, The Vincent Lopez Orchestra, The Al Raymond Orchestra, Jonathan Orchestra, The First United States Army Band, The City Rhythm Orchestra, The Vincent Lopez Orchestra, the Verdi Band and various shows. Tom is proficient on soprano, alto, tenor, and baritone saxes, flute, piccolo, bass clarinet, ethnic flutes, Irish pipes, fife and the always popular ocarina, though he says he's best at playing the radio! Look for Tom on bari sax with Jive, Jump, & Wail. 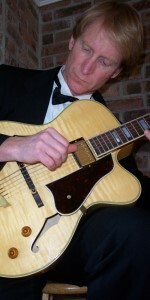 Skip is originally from upstate New York and as a teenager there, started playing guitar and singing folk songs. He later formed a rock band with some of his high school friends. Upon graduation, he enrolled in college as a liberal arts major, but soon realized music was his calling and subsequently enrolled at the Peabody Conservatory in Baltimore, Maryland where he studied classical guitar with Aaron Shearer, graduating with a Master's in Music Performance degree. During this same time he started performing his own music at local establishments and formed his own group, the Slim Pickin's Blugrass Band. After graduation, Skip moved to New York City, where he lived for 13 years. There, Skip feels his true music education began. He played in 2 rock bands including the Irish rock band the Lookalikes, and performed solo in many area clubs. He was also featured in five issues of Fast Folk Musical Magazine including the premier issue. Also, while there, he released an album of original steel guitar instrumentals called Fingerpainting, produced by Steve Gaboury. During his time in New York, Skip also studied jazz piano with Jaki Byard. Upon leaving New York, Skip lived in Little Rock, Arkansas, and Detroit, Michigan before settling into his current residence in Chadds Ford, Pennsylvania, just outside of Philadelphia. He is currently performing his original music in solo, duo, and trio settings. In addition to Jive Jump & Wail, Skip also plays with the Joe Dawson Big Band, the Spartan Alumni Jazz Band, in a duo with saxophonist Dave Renz, and in a duo with Jive Jump & Wail's own Demetria Joyce Bailey. Find out more about Skip at his website: www.skipbarthold.com!